NOTICE: GREG COLEMAN LAW IS NO LONGER ACCEPTING CASES INVOLVING CARMAX'S QUALITY CERTIFIED VEHICLES. Greg Coleman Law is currently investigating claims on behalf of consumers who have purchased CarMax's CarMax Quality Certified vehicles, only to discover the vehicles have numerous problems, undisclosed recalls or undisclosed repairs from previous car accidents. CarMax's "CarMax Quality Certified" label is supposed to ensure consumers that its used cars are inspected, repaired, checked for water damage, and checked for outstanding recalls. The companys advertising is misleading car buyers into thinking their vehicle is safe. If you have been misled by CarMax's quality certified label, contact the consumer advocates at Greg Coleman Law. You may be entitled to file a CarMax lawsuit. Across CarMax used vehicle lots in the nation, vehicles are being marketed as Quality Certified, which means the vehicle has undergone a 125+ point inspection. The inspection includes checking the cooling, steering, lighting, and electrical systems, along with the transmissions, axles and more. It also covered an investigation to ensure the vehicle does not have flood or frame damage. Unfortunately, many consumers feel duped by CarMax's quality certified vehicle claims. Dozens of complaints have been filed with the Better Business Bureau by consumers who have had guarantee/warranty issues. Consumer complaints include power steering line leaks, seepage of engine oil, transmission issues, and much more. Complaints have also been filed by individuals who claim that the vehicle they purchased was involved in an accident, but CarMax failed to report the crash to the consumer. More than 700 consumer complaints have gone unanswered by the used car dealership. A coalition of 11 different consumer groups have filed a petition with the Federal Trade Commission asking that CarMax be investigated for selling vehicles that require repairs. Nearly one year late, the Connecticut Public Interest Research Group examined CarMax's inventory and sales records and two dealerships in Connecticut. Researchers found that 74 of the 566 vehicles for sale in July 2015 were currently being recalled for defects that could lead to non-deployment of airbags, fires, loss of power steering and more. 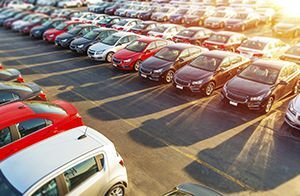 CarMax consumers often sign a form acknowledging that the vehicle is under a recall, however, this method of disclosure simply protects the company from liability rather than protect the consumer. CarMax Quality Certified promises high quality vehicles. In reality, many have been wrecked or require extensive repairs for a series of issues. In some cases, the vehicles have a salvage title. When customers have problems and take the vehicles back, even within months, CarMax claims that the car was wrecked before they purchased and is not worth much. Greg Coleman Law is seeking consumers who have relied on CarMax's promises of quality and fair pricing, but have later figured out that the vehicle has major problems which were not disclosed. We can help you obtain the compensation and justice you deserve when you file a CarMax lawsuit. For more information on how we can help you, fill out a Free Case Evaluation or call (865) 247-0080. Considering buying a used car? Read our Tennessee Used Car Resource Guide.